Top 10 lists showcase the best places to visit in the region, from the Castillo de Santa Bárbara in Alicante to the mountainous village of Guadalest. Six easy-to-follow itineraries explore the most interesting sights in the Costa Blanca-from the historic center of Orihuela to the beaches of Costa Cálida-while reviews of the best hotels, shops, and restaurants in Costa Blanca will help you plan your perfect trip. 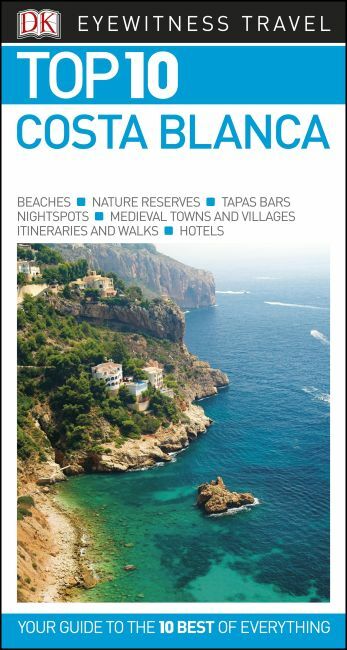 The perfect pocket-size travel companion: DK Eyewitness Travel Guide: Top 10 Costa Blanca.